Angie Torres graduated from the Ryerson School of Journalism. While at Ryerson, Angie worked for International Student Support (ISS) for two years since 2008­ on the newsletter team and the front desk, advising and supporting fellow international students. Angie is originally from the Philippines but has studied abroad throughout her life. In 2011, she won the Salad King International Student Award for her peer support and mentorship. 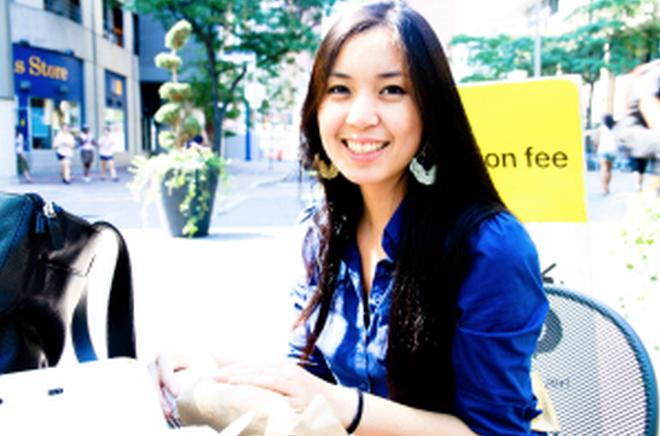 Here, Angie reflects on her four years at Ryerson University. Why did you choose Ryerson University? Journalism is the main reason why I came to Ryerson. The program is excellent and well-known. I also liked the campus culture as it is both urban and diverse. Looking back over the past four years, I can’t imagine going anywhere else. Ryerson offered me its small class sizes, diverse population and accessibility, each of which fit my needs. What were your accomplishments at Ryerson University? I tried to get involved as much as possible because that is what I was like in high school. All of my friends always say “You seem like somebody who likes to do a lot of things and enjoys being with a lot of people.” I got involved to improve my leadership skills. I also enjoyed helping students. It’s every journalist’s dream to travel and see the world. I did that growing up and I don’t plan on stopping. After I travel, I plan on working in Canada. I am interested in being a news reporter, but I also have other skills such as photography, video and film, and I would like to expand on my creativity, blending it with my communication and writing skills. How does it feel to be a graduate? I’m a little nervous about not being in school. I feel like I have everything in my grasp and I feel empowered, yet it’s scary at the same time because my future is unsure. I have a mix of emotions! Congratulations on winning the International Student Excellence Award for Community Service from the City of Toronto! How does it feel to win? It’s really an honour to be selected among other well-deserving international students. I’m just really surprised! What are some of the things you did that lead you to winning the award? I contribute to the community through fundraising and hands-on service work. Recently, I helped out with the shoreline cleanup at Balmy Beach. During the CNE, I was helping out at the food stand, selling refreshments and burgers for families playing baseball. The most interesting event I participated in was the Lion’s Club International Convention. What was the convention like? I met Lions from all over the world, from China, USA and Malaysia. I helped welcome these international delegates to Canada and talked to them about the city – which places have really nice food and sightseeing spots like the Aquarium. It was like I was a mini tour guide for five days! What are the most valuable things you’ve learned from your experiences? They helped me a lot with my public speaking skills. I learned to be confident with myself. I also picked up some networking skills along the way. What is the biggest challenge you’ve encountered? I would say it’s trying to get people to volunteer and commit to these events. It takes some time to convince and encourage people. What motivates you to be active in your community? I like giving back to the community because I feel so blessed. I especially love it when people appreciate what we’re doing – for example, during the shoreline cleanup, some people actually approached my group and thanked us. 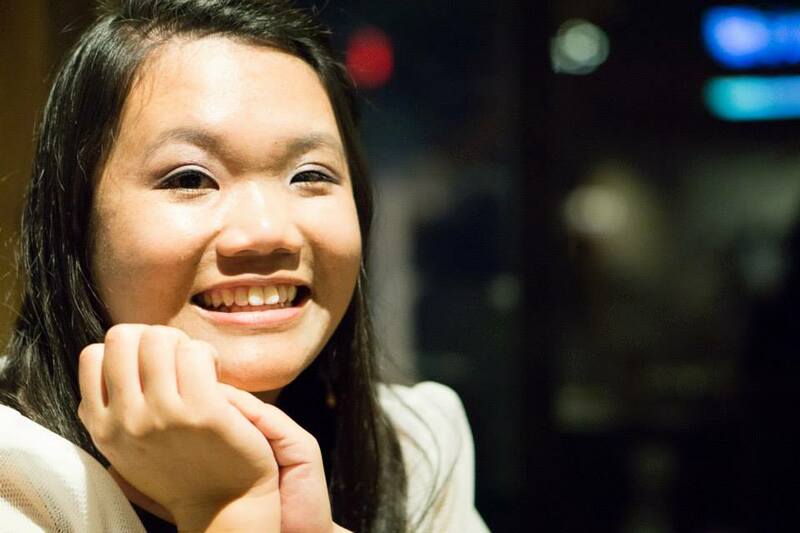 How do you juggle community involvement as a fourth-year business student? Plan out all the tasks you need to do for the day and maintain a schedule for assignments, midterms and essays. But most importantly, have a heart for the community and you will make time to attend events and serve others.